As we are fast approaching the 7th edition of annual Chennai coastal cleanup, this is part of our attempts to engage and create awareness amongst kids regarding the hazards of plastic use in our daily life and how it’s affecting the environment and in turn our health. It’s an event where a serious issue is explained through fun activities like stories, games, painting, art and lot more. Register here if interested to participate with your kids. Age Limit : 3 to 16yrs old kids’ are welcome to participate in the competition. Others are welcome to attend the event. 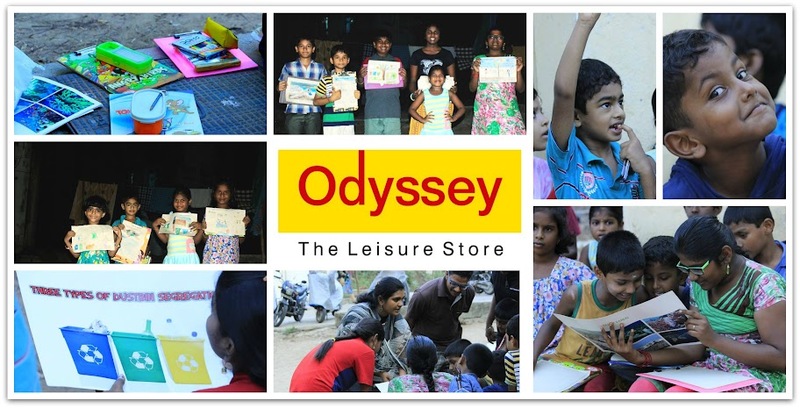 When & Where : May 15 Sunday 04:30 to 6:00 pm – Odyssey – Adyar Store. Chennai Coastal Cleanup (CCC) – an annual event, organized by Chennai Trekking Club, targeted towards spreading environmental awareness on various factors like plastics over-usage, garbage overload, raising pollution levels, etc. This year CCC is scheduled for June 19th Sunday. On the weeks leading to the main event we will be conducting several such awareness events for public and kids. Register here to participate in CCC7 and various other associated awareness activities. => “CTC is a non-profit group and accounts will be shared transparently with all participants”. => Participants who engage in irresponsible, disrespectful or unsafe behavior will be blacklisted from future CTC events. => Feedback or complaint from any CTC member on the group, event, organizer, safety or accounts can be raised to the core@chennaitrekkers.org. 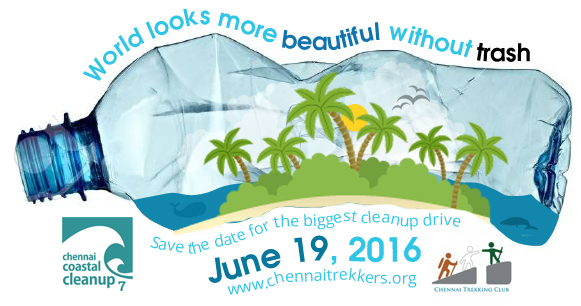 ← Chennai Coastal Cleanup 7 – Developments so far !! !